A teenage woman accused of murdering her new boyfriend in Peterborough told a taxi driver who took her to Thorpe Wood Police Station after the stabbing she had been robbed at knife point, a court has heard. Martyna Ogonowska (18) is alleged to have murdered Filip Jaskiewicz following an argument in Oakdale Avenue, Stanground in the early hours of October 21 last year. Mr Jaskiewicz, of Princes Street, Peterborough died as a result of a single stab wound to the heart, and was found slumped in his car in the street. 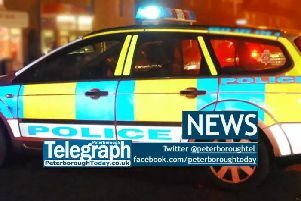 Ogonowska, of Victoria Place, Peterborough, denies murder. Today at Cambridge Crown Court, taxi driver Kamran Khan told a jury he had picked up Ogonowska just after 7am from Taverners Road on October 21. The taxi had been booked to take her to the police station. Mr Khan said there was a group of four people - two men and two women - which Ogonowska was in when he arrived at Taverners Road. Mr Khan said Ogonowska then got in the taxi, and he asked if she was OK.
Andrew Jackson, prosecuting, asked him if she said what happened. Mr Khan said: “Yes. She said someone tried to rob her. She said it was a man, and there was a woman there as well. “She said a knife was put to her throat. Matthew Jewell, defending, asked Mr Khan if Ogonowska had been upset, and if she spoke with a heavy eastern European accent. Mr Khan said she had, and Mr Jewell suggested he may have misheard or misunderstood what Ogonowska said. Mr Khan said he was confident he had not misunderstood her. He said: “She said she took a knife, and that the girl is afraid of her now. Mr Kamienski said he had never seen Ogonowska with a knife, and it was the only time she had mentioned a knife when he spoke to her. Mr Kamienski also told the court Mr Jaskiewicz had first met Ogonowska on Thursday, October 18, a few days before he died. He said he had spoken to him the day after the pair met, and Mr Jaskiewicz said he had slept with her that night. Statements from friends Krzysztof Grawas and Patrucja Krolic, who also said Mr Jaskiewicz had told them he had slept with Ogonowska. A statement was also read from Kathleen Edge, who lives on Oakdale Avenue. She said in the early hours of October 21, she was woken by the sound of voices. She said she saw a group of people getting out of a car, before they got back in again.She said she then went back to bed, and heard the car doors open again, before going back to sleep. A statement from Nicola Bianchi was also read to the court. Qualified nurse Ms Bianchi, who also lives on Oakdale Avenue, said she had left her house at about 7am that day. She said she had driven past a silver VW Polo, and saw a man slumped in the car. When she returned a few minutes later, the man was still slumped in the car, so she went to investigate. “I checked for a pulse, and could not find one. I dialled 999, and they asked if he was breathing. She continued to give CPR until paramedics arrived and took over. Ogonowska denies one count of murder and one count of possession of a knife in a public place.